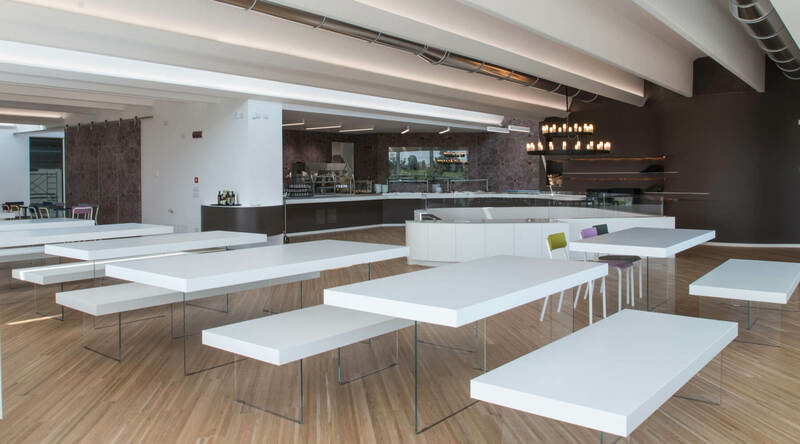 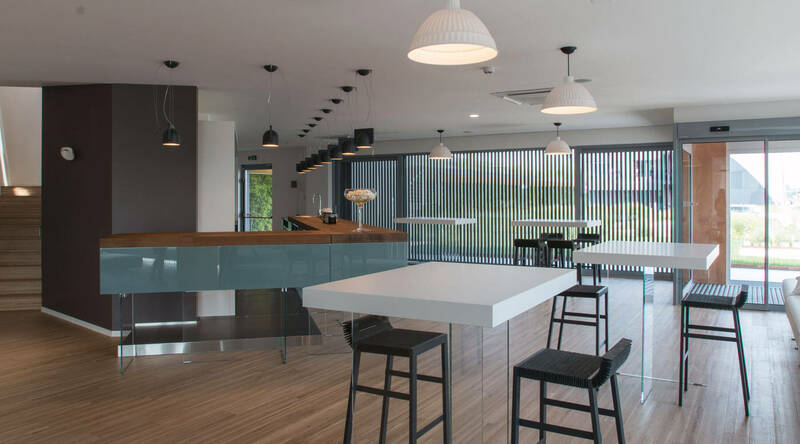 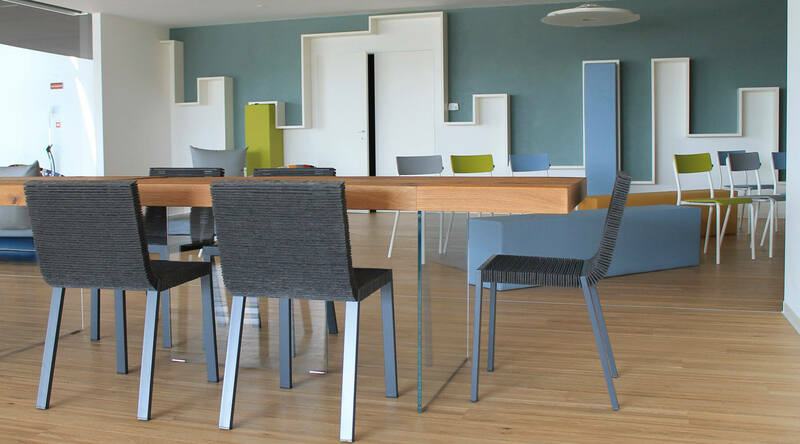 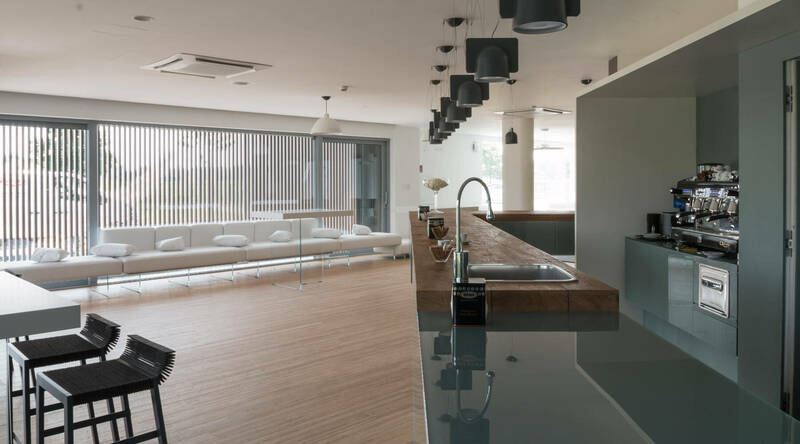 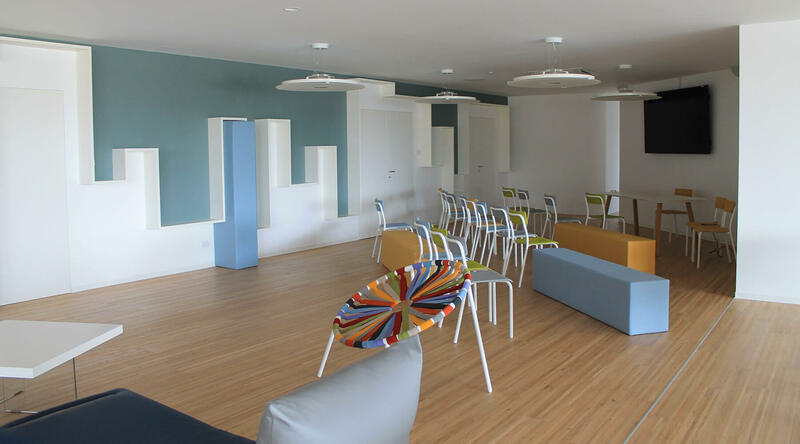 Intelligent home management systems company Nice chose LAGO to furnish TheNicePlace, a 3,000+ sq m space next door to the Oderzo Headquarters. 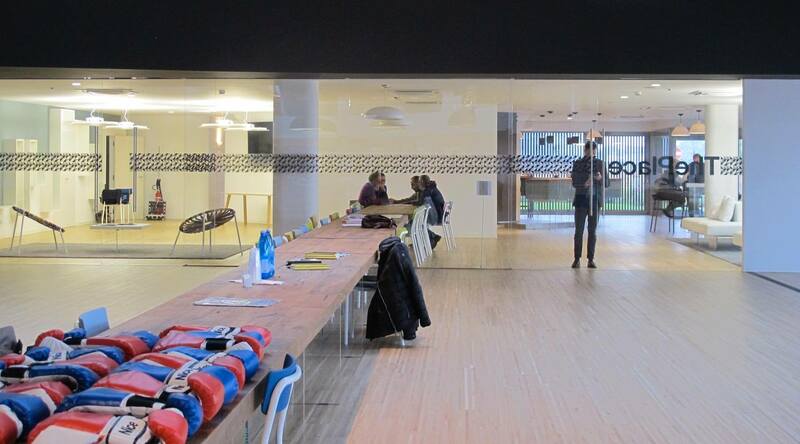 This collaboration between two Italian giants of excellence, brought together by Design Thinking and a shared desire to create added value, created a social hub dedicated to bringing people together and sharing. 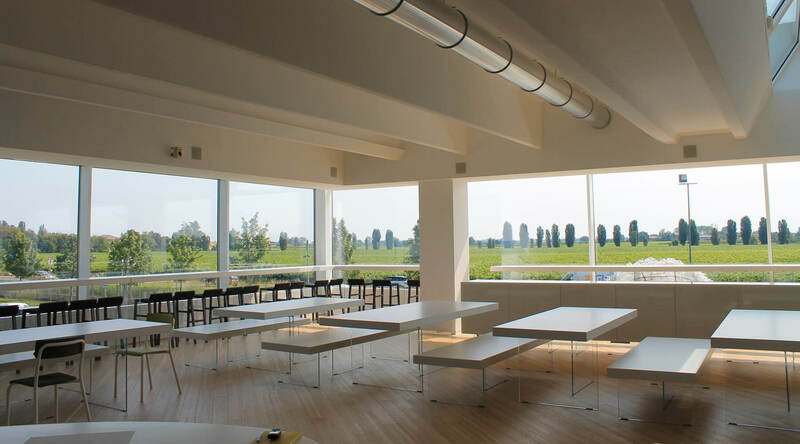 LAGO designed the ground floor spaces: showroom, café, meeting room and the canteen, where large windows flood the whole interior with light.